The weather is warming and suddenly our focus turns to outdoor activities and our homes outdoor areas..
Light and Bright or Soft and Subtle all your need is a little bit of comfort in a sunny or shady spot to soothe the soul.. and for those that don't have any outdoor space a stunning artwork can have you drifting off into the right direction instead. I think you can add a touch of summer to any area it is as simple as new serving wear for the barbys, a few cushions for your outdoor sofa or just some bright towels to lie on at the beach.. so go on get out there and enjoy feeling the heat .. I am! 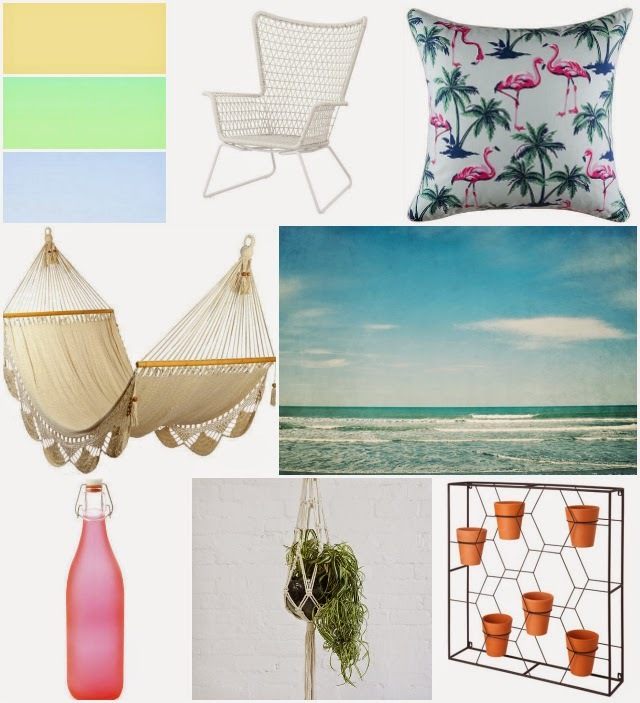 Oh I'm so in love with those flamingo cushions and that vertical garden might be just the incentive I need to resurrect my herb garden. 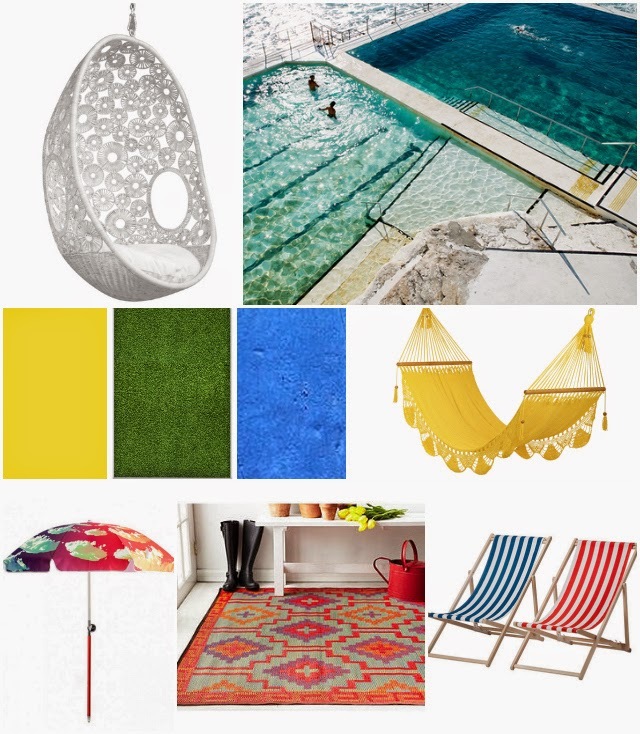 I love the pop of summer colour! Roses are red, violets are true, I really love the Hawaii Blue!! A Little bit o' Leibster.. Win 1 of 2 Beautiful Personalised Bracelets..
A morning with Nikki.. Oh yes purlease..